InVogueJewelry: Zambian Emeralds, and a Truly Fantastic Jewelry Designer! 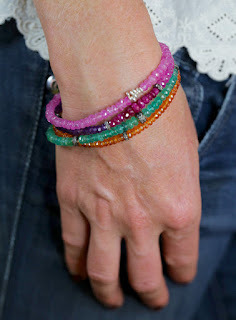 Zambian Emeralds, and a Truly Fantastic Jewelry Designer! Emeralds are my favorite gemstone, and for a very long time, the Columbian Emerald has been the most beautiful and valued emerald. They're known for their beautiful green color, but they have lots of inclusions and fractures. In the mid 1970s, emeralds began being mined in Zambia, a country in Southern Africa. In 1989, Tiffany began marketing jewelry with these Zambian emeralds and their popularity and acceptance in high-end jewelry has since risen. Kagem is the largest emerald mine in Zambia and produce about 6.5 million carats of emeralds annually. 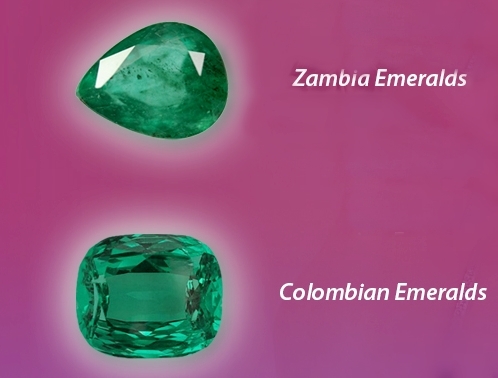 Zambian emeralds have a beautiful saturated green color, sometimes blue-green, and are extremely transparent. Columbian emeralds are said to have a warmer, "truer" green color. Both are incredibly beautiful! And the price of any emerald increases dramatically as the size increases. Zambian emeralds are green because of the trace mineral Iron. Columbian emeralds are green because of Chromium. So, recently I was speaking with an Etsy seller named Deanna of Etsy shop "NadeanDesigns" about "hydro quartz" which is actually glass. And somehow we got on the subject of emeralds, and she offered to sell me some beautiful Zambian faceted rondelles at a really reduced price. She is just SO nice (and knowledgeable!)!! And when they arrived, I could NOT believe the beauty of these emeralds! I immediately made myself a necklace which I wear every day! These are SO green and clear, and beautiful. Genuine Zambian Emeralds - So Clear and Green! 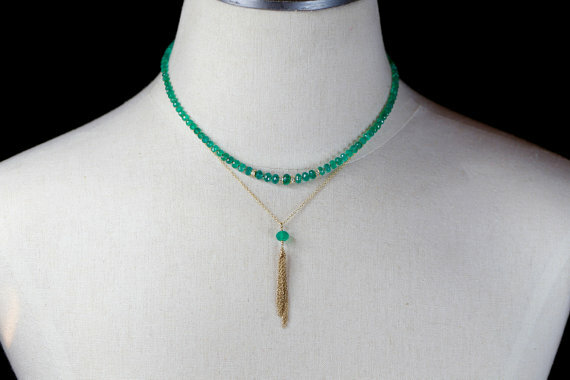 That picture shows the gorgeous emerald necklace with a second gold chain and emerald necklace. Holy COW those emeralds are beautiful! I love the gold rondelles with pave white diamonds! That truly IS an heirloom piece of jewelry. And it's hand knotted onto silk! Deanna also sent me a couple of sizes of "Silverite" which is a so-called gemstone that is sold online, mostly on Etsy and occasionally on Ebay. I took them to a gemologist and had them tested, and I'll write about that in my next post.